Services | IOMAX USA, Inc.
IOMAX is a full-spectrum provider for signals intelligence and airborne system solutions serving customers across the globe. 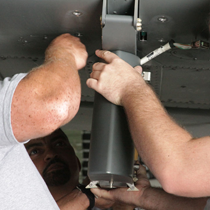 Our “Triangle of Excellence” includes a seasoned and unmatched Field Operations Division, a full-service Training Division and a world-class Aircraft Division with decades of aerospace experience providing System Integration for aircraft, ISR, and weapons systems. Our Phased Program Approach creates a highly reliable capability in a fixed or scalable platform that provides customers with state of the art mission solutions. Training is a primary component of IOMAX turnkey operations for fielding advanced technological equipment and technology. IOMAX defines system integration as the design and development of precision-guided weapons and the integration and testing of new and existing weapons for fixed and rotary wing aircraft, ground and naval platforms. IOMAX provides a highly reliable and effective capability in a fixed or scalable phased program approach that provides customers with state of the art mission solutions.